In modern-day technology, especially the smartphone, trends and advancements in certain areas aren’t always a plus for consumers. That said, many of the trends are driven by the consumers themselves, despite statistics proving there isn’t always a requirement or of use. But, the people want what they want. A prime example of this in the smartphone industry is the allure of having the worlds thinnest phones, with the best edge-to-edge display. Designing a thinner frame often means cuts have to be made on battery size, which reduces battery capacity as a result. The larger screens also make for heavier battery consumption, as a powered-on screen uses most of the battery throughout the day. As a result, many are left relying on power banks to make it through a single day, as it may not always be possible to connect your smartphone to a power source. ADATA released the D8000L power bank in June this year, which not only provides power to your portable devices but doubles and triples as various other devices too. For many users, a power bank is simply a portable power source for your smartphone. With so many power banks flooding the market in recent times, users are left with a horde of crazy looking and crazily marketed devices promising four or five recharges of your smartphone. The D8000L, however, aims to be more than just your run of the mill charging unit offering users a few nifty features along with good charging capabilities. The first of these features is its all-weather packaging. The unit has an IEC IP54 rating, which means it’s able to provide basic dust protection, along with splash resistance from any liquid from any angle. The protection also means you can submerge the device in water, but not for more than a few seconds or at any pressure. The unit is pretty rugged, though, and is able to withstand a few drops thanks to its rubberised build, along with a few spills. The second feature, and possibly most unique, is the LED system, which allows you to use the device as a flashlight. The top side of the device is fitted with a series of LEDs, which have an overall rating of 200 lumens. In addition to this, there are four lighting modes, which include the standard on/off, flashing lights, slow flashing lights, and emergency mode. Running on its own, the power bank is able to produce 17 hours of lighting if you ever need it. The unit also emits light over a wide area, unlike other narrow-beam flashlights. 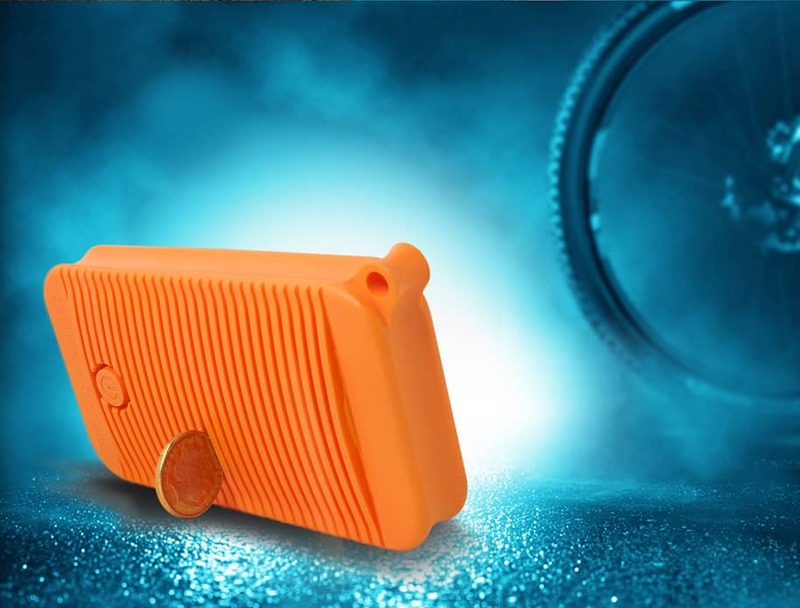 The rear side of the unit has a grooved finish, which allows you to prop it up as a kickstand simply by adding another object to it, such as a coin, credit card, and the likes. This means that you can use the D8000L as a light source while working as well. While the additional features are quite useful, it’s not the primary use case of the D8000L. Instead, that’s left to the 8000mAh capacity battery, which provides a total of 2.1A current. The unit includes two USB Type-A ports, which allows you to simultaneously charge two devices at a time by connecting your USB cables. The 8000mAh capacity means that you’ll easily e able to fully charge both units before running out of juice. One of the more important, and less noted aspects of power banks is the Amps and resistance from the circuitry of the unit. As users charge their devices, the ports and other components all start to produce and emit heat. This heat makes for capacity wastage, resulting in a reduced amount of mAh you have at your disposal. The D8000L includes additional protection tech on their circuitry to prevent aspects of over-heating, over-charging, and additional discharge when not in use, making for a more efficient unit overall. While there may be higher capacity power banks on the market, they often cost a pretty penny. They also don’t offer much more other than the simple charge. The ADATA D8000L offers great portability, not simply in charging on the go, but also its durability and IP rating, as well as doubling up as a flashlight of sorts. Moreover, the unit available at various stores from around R350, making it a really well-priced option overall.